The EQualizer Post: Philippine President models after Hitler and wants another HOLOCAUST! 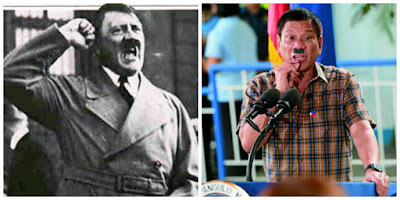 Philippine President models after Hitler and wants another HOLOCAUST! 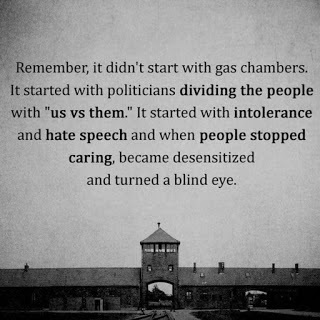 Remember, it didn't start with gas chambers. t started with politicians dividing the people with "us vs them." It started with intolerance and hate speech and when people stopped caring, became desensitized and turned a blind eye. 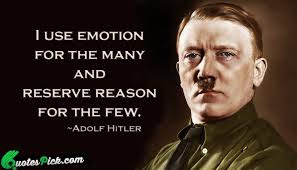 "Hitler massacred 3million Jews. Now, there are 3 million drug addicts... I'd be happy to slaughter them." 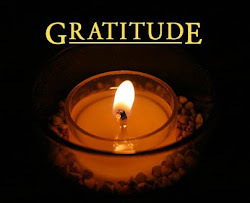 to protect the lives and well-being of the many who are good." and reserve reason for the few. 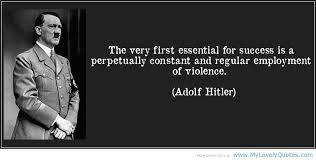 constant and regular employment of violence!" 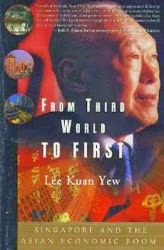 Industrialists gave him money and support. 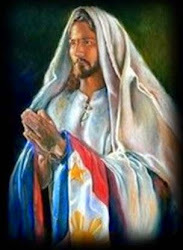 The above description is NOT about Duterte. This is a BBC article on how HITLER rose to power! Isn't it eerily similar to the Duterte story in the Philippines? 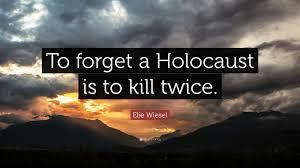 "To forget a HOLOCAUST is to to KILL TWICE!" 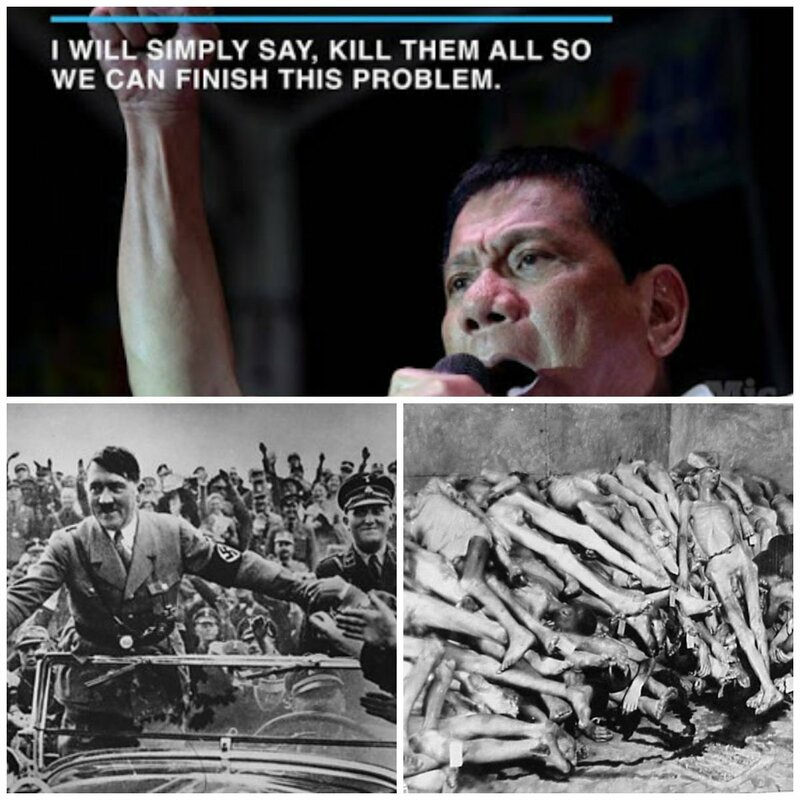 Duterte Insults the Jews and wants a Filipino HOLOCAUST! 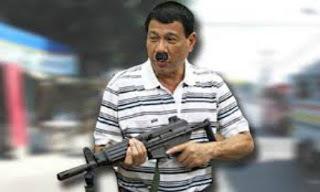 Jewish groups have condemned President Rodrigo Duterte's remarks that he is willing to do what Hitler did to the Jews to go after criminals in the country. 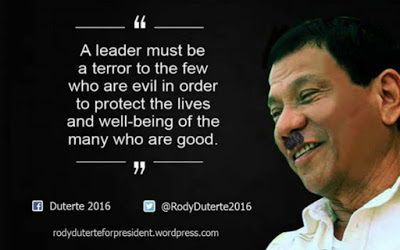 In a speech in Davao City after his official visit to Vietnam, Duterte said: "Hitler massacred three million Jews. Now, there are three million drug addicts... I'd be happy to slaughter them." "At least if Germany had Hitler, the Philippines would have… You know my victims, I would like to be, all criminals, to finish the problem of my country and save the next generation from perdition," he added. Duterte's remarks did not sit well with Jewish groups in the United States. The Anti-Defamation League, an international Jewish group based in the United States, said Duterte's comments were "shocking for their tone-deafness." "The comparison of drug users and dealers to Holocaust victims is inappropriate and deeply offensive," said Todd Gutnick, the group's director of communications. "It is baffling why any leader would want to model himself after such a monster," Gutnick said. 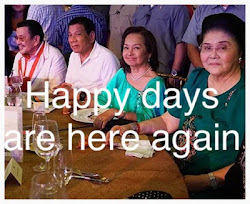 Duterte was voted to power in a May election on the back of a vow to end drugs and corruption in the country of 100 million people. 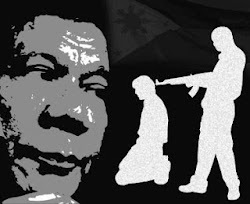 He took office on June 30 and thousands have been killed since then, mostly alleged drug users and dealers, in police operations and in alleged vigilante killings. 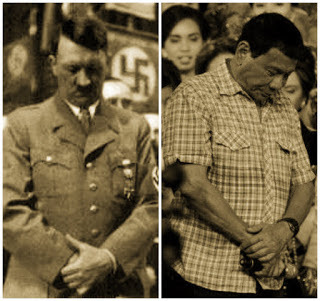 Two days before the May polls, outgoing President Benigno Aquino III had warned that Duterte's rising popularity was akin to that of Hitler in the 1920s and 1930s. 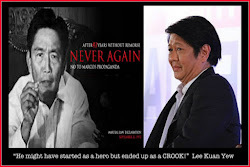 "I hope we learn the lessons of history," Aquino said in widely reported remarks. "We should remember how Hitler came to power." 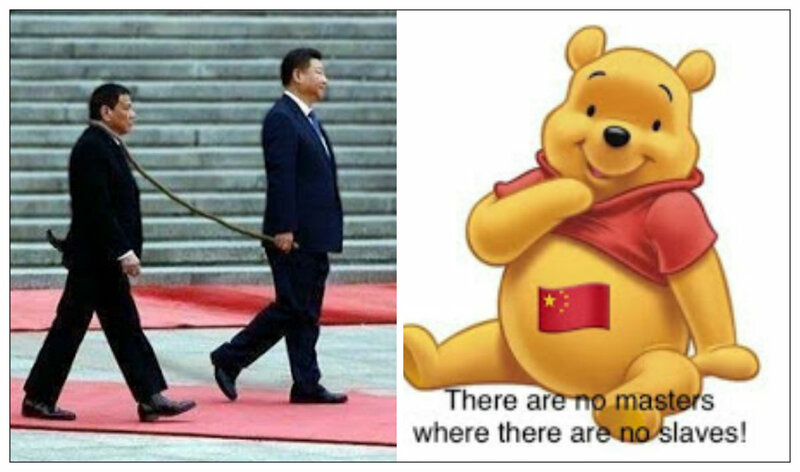 On Friday, reacting to critical comments on his war on drugs by US Senators Patrick Leahy and Benjamin Cardin, Duterte said: "Do not pretend to be the moral conscience of the world. 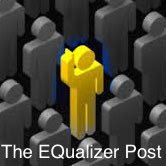 Do not be the policeman because you do not have the eligibility to do that in my country." Jaypee Larosa is just one of hundreds of victims of unresolved targeted killings committed over the past decade in Davao City and elsewhere in the Philippines. Dozens of family members have described to Human Rights Watch the murder of their loved ones, all killed in similar fashion. Most victims are alleged drug dealers, petty criminals, and street children, some of whom are members of street gangs. Impunity for such crimes is nearly total—few such cases have been seriously investigated by the police, let alone prosecuted. Although reports of targeted killings in the Philippines, particularly in Mindanao, are not new, the number of victims has seen a steady rise over many years. In Davao City, the number has risen from two in 1998 to 98 in 2003 to 124 in 2008. 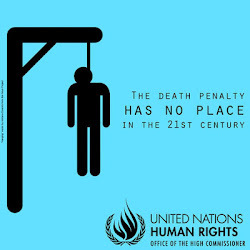 In 2009, 33 killings were reported in January alone. In recent years the geographical scope of such killings has expanded far beyond Davao City and other cities on the southern island of Mindanao to Cebu City, the Philippines’ second largest metropolis. An already serious problem is becoming much worse. This report provides an anatomy of death squad operations. It is based on our investigations of 28 killings, 18 of which took place in 2007 and 2008. The victims include children as young as 14. In researching this report, we found evidence of complicity and at times direct involvement of government officials and members of the police in killings by the so-called Davao Death Squad (DDS). We obtained detailed and consistent information on the DDS from relatives and friends of death squad members with direct knowledge of death squad operations, as well as journalists, community activists, and government officials who provided detailed corroborating evidence.